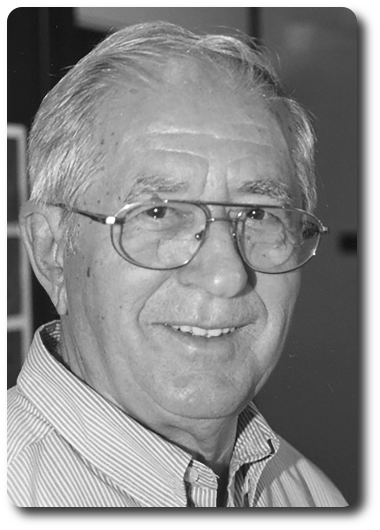 Pierre Le Moyne 1927 – 2017 (PE nr. 1083) | M.Afr. Pierre was born on the 9th February 1927 at La Malbaie, Québec Province, Canada. After finishing his primary schooling in the town, he entered the Holy Family Seminary in Chicoutimi for his secondary school and philosophical studies. On the 11th August 1949, he entered the Saint Martin Novitiate of the Missionaries of Africa. He distinguished himself by his clear intelligence, strong will and his public speaking. At the end of the novitiate, our confrere was chosen to go to Tunisia in North Africa to continue his studies. Pierre arrived in Thibar, Tunisia in September 1950 for his first three years of Theology. He did his final year of Theology in Carthage. In this international milieu, he found himself very much at home. He had a pleasant character, always smiling, joyful and obliging to all. He was good in company and he was much appreciated by his confreres. He was endowed with good intelligence always seeking to deepen and formulate personally the doctrines he was being taught. Having the responsibility for the bookstore of the Scholasticate, Pierre gave himself generously to the work even if he could have applied himself more to details and be more disciplined and organised in his activities. He was very attached to his vocation, and he showed a solid and sober piety and he took his training very seriously. Fr. Le Moyne took his Missionary Oath at Thibar on the 29th June 1953 and he was ordained priest in Carthage on the 18th April 1954. On the 1st October 1954, Fr. Le Moyne took the plane for Zambia, the African country where he was to spend all his missionary activity. One should note that Pierre came from a family of farmers. On the family farm, he learnt how to work hard. His energy and generosity, qualities that he displayed already when he was young, will be one of his characteristics during all his apostolic life. In the area of Canada where he came from, Pierre learnt how to develop many friendly relationships when distributing milk from the farm to the holidaymakers at La Malbaie coming to spend their summer holidays there. The same went for his leadership qualities, which he developed during his many youth activities. After his arrival in Zambia, Pierre initially saw service in the Diocese of Kasama and he worked as curate in the parishes of Lwena, Ipusukilo and Kapatu. Within a few years, he was appointed to work in various junior seminaries and soon he became headmaster in some of them. Pierre was to pass sixteen years of his missionary life in these establishments. His pupils appreciated his frankness, his honesty and his good humour. His enthusiasm and his facility for contact with all rapidly gained the trust and friendship of his young students. Pierre returned to Québec for a well earned home leave in 1962. In the course of his holiday, he received an appointment to Chicoutimi where, for three years, he worked at missionary and vocation promotion work in the parishes and schools of the region. His generosity and his initiatives bore fruit and many young people committed themselves to a missionary vocation. After his Long Retreat at Villa Cavalletti, near Rome in 1965, Pierre returned to Zambia and once more took up teaching in the Junior Seminary of Lubushi while also undertaking some pastoral work in the neighbouring parishes. In 1979, Fr. Le Moyne was appointed curate in the parish of Ndola. Three years later, he accepted to become Parish Priest of Mufulira also in the diocese of Ndola. It was a very big parish in the copper mining region of Zambia. There again, he showed his initiative in building a large study hall for the students coming from the shanty town near Mufulira. The students did not have electricity at home and so they were able to study at night in this library built by Pierre. Everywhere he stayed, Pierre was known for the warmth of his welcome and his broad smile for his confreres and his parishioners. Very early on, one discovered that he had exceptional talents as a cook and soon gained a reputation throughout Zambia. During the times of the annual retreat, if it became known that Pierre was going to be responsible for the welcome and the food, the list of the participants soon filled up. All the confreres knew that during the 8 days of the retreat they would be spoilt and well fed and not only spiritually. Pierre returned definitively to Canada in November 2004. He was appointed to Sherbrooke to help with the care of our elderly and sick confreres and to bring them to hospital if necessary. Already the illness that would develop progressively and that would eventually carry him away began to show itself. His faculties, especially his cognitive faculties were affected and in 2016, he was admitted to a specialist Nursing Home at Asbestos in order to receive more appropriate care. It was there that he died from a heart attack on the 17th February 2017. During the course of a retreat in 1995, Fr. Le Moyne wrote these words which influenced all his life, “We are the beloved of God, we are loved freely just as we are. What is important is to allow ourselves to be loved by Our Lord.” After so many years of faithfulness in terms of sacrifices, sorrows, joys, combats and victories, Pierre now enjoys eternal happiness near God. May the Lord fill him with His love.